Don’t know what to do in Sicily? If you are now on our beautiful island, you will have lots of choices to enjoy St. Martin’s Day! There is just one day before the”Festa di San Martino“, one of the most awaited autumn festivities in Sicilian tradition. It falls on November 11th according to the Catholic Church and it is one of the most important symbols of the Sicilian folklore. According to the legend, a young knight named Martino divided his cloak in half, to share it with a poor cold man. In the following morning, the young knight found his cloak undamaged and the knight decided to convert himself to the Catholic religion. This legend was born in France and later was spread among farmers throughout Europe, from Germany to southern Italy. This story soon became bound to a fundamental topic: the wine and the harvest. In fact, on the day dedicated to St. Martin, the farmers were used to taste the new wine. This custom has been handed down until today, hoping for a good vintage for the next year. 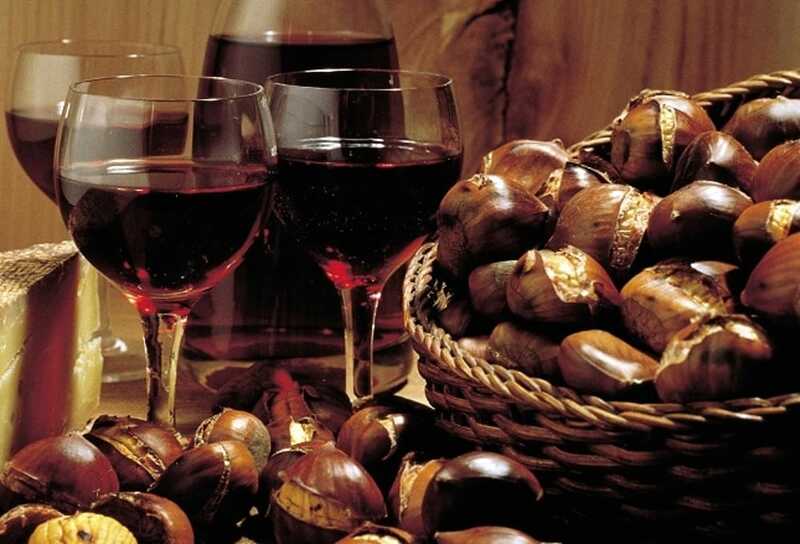 The wine is now the main feature of November 11th in Sicily, along with chestnuts, honey, biscuits and other typical products, such as buccellato or sfincioni. For this reason, in Sicily we celebrate this day with countryside festivals and celebrations. They are characterized by music, games and typical good food date back to the Middle Age. 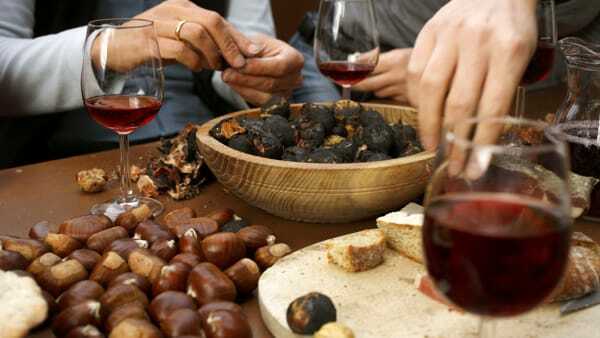 In this case, we can mention the countryside festival organized every year in Zafferana Etnea, with chestnuts and wine tasting. We can also quote the festival organized in Ragalna, with sausage tasting (another typical food of St. Martin Day). Other festivals take place also in Aretusa (in Syracuse). Here the typical Sicilian puppets are the protagonists, in an event that takes place in the squares of the town. And at last but not least we can also mention the St Martin Day’s celebration in Linguaglossa, with wine tastings and folk music. According to the custom, share with us the experience of an authentic Sicilian Wine tasting, hoping for a good vintage for the next year. Contact us now to book the Wine Tasting Catania Tour or the Etna Wine Tasting and get ready to live an exciting Saint Martin’s Day. 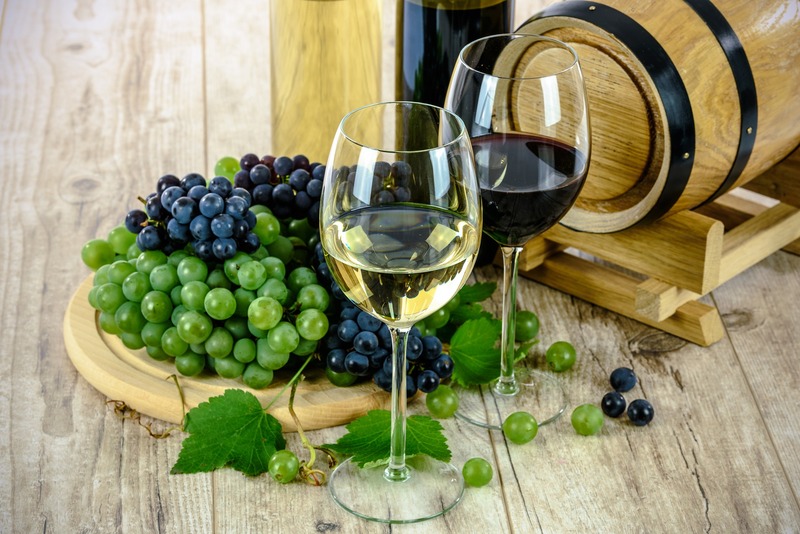 You will discover our customs, you will see how Sicilian wine is traditionally produced, tasting typical products. Otherwise, if you love naturalistc excursions and you would like to do an Etna trekking, you can not miss the opportunity to live both experiences, thanks to our Etna & Wine tour. If, however, you would prefer to visit one or more countryside festivals near the Mount Etna or in the Sicilian hinterland, but you don’t know how to move, Sicily Day By Day has the solution for you: contact us for a private transfer!